Candle light stress test. Close crop Mate 20 Pro Night mode, left, reveals the cleaner colour of my shirt and sharper details. Bright Night on the Pixel 3, right showed more natural skin tone. “Night Sight is designed for the scenes you wouldn’t even pull out your camera anymore,” said Isaac Reynolds, Product Manager for Camera on Pixel in a recent interview with dpreview. 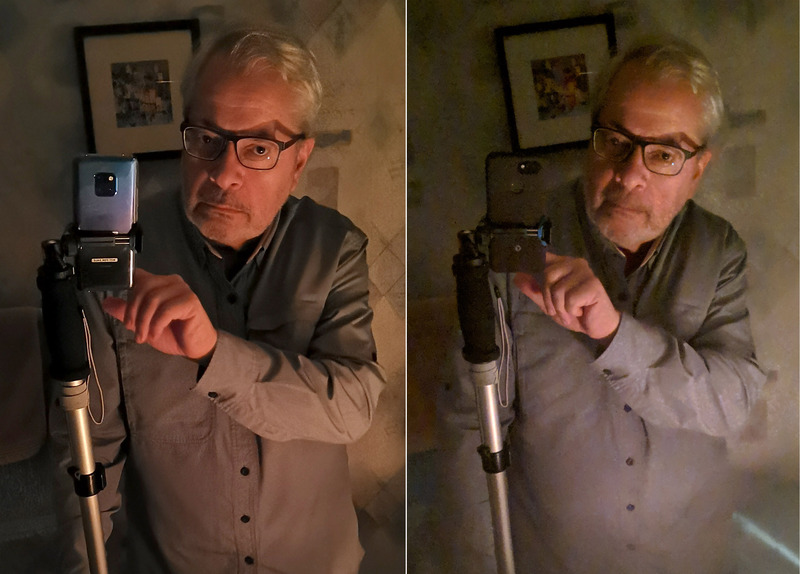 He and renowned computer graphics researcher Marc Levoy who currently leads a Google team whose projects include HDR+ mode, Portrait mode, and Night Sight mode on Pixel smartphones are pushing the limits of smartphones like the Pixel 3. 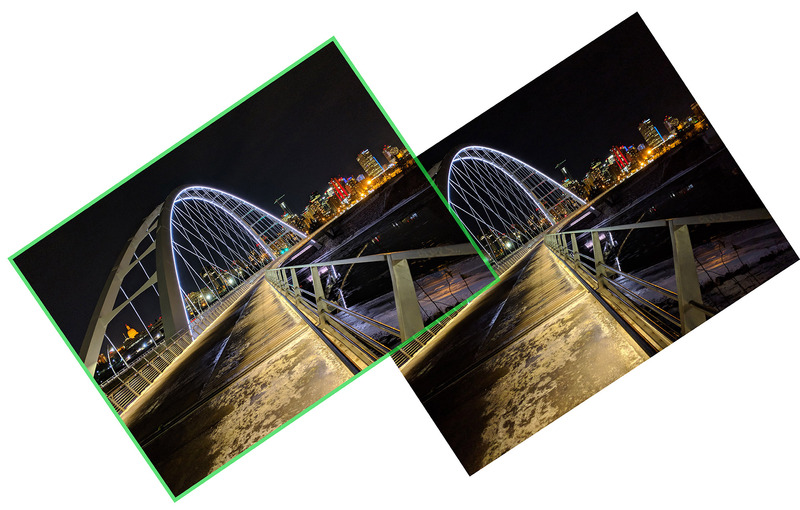 Night Bright mode on the Pixel 3, left, lightens up entire hand rail, and background scenery compared to the normal mode photo, right. Night Sight’s sleight of hand technique based on a combination of multiple images combined with machine learning AI, can shoot with enough light from a single candlelight. But it goes beyond that, improving night skylines that most phones can shoot, with more even light, filling in dark shadows and lighting dark skies with hints of clouds. Night Sight, partly based on Levoy’s previous SeeInTheDark app, is not alone. Similar technologies are currently on the newest OnePlus 6T and Huawei Mate 20 Pro (see my picture comparisons). I tested a pre-release version of Night Sight on a Pixel 3 against the Huawei Mate 20 Pro. They shoot the equivalent of a slow shutter speed lasting up ten seconds, so action photography is out. Users are warned to keep the camera steady and in most cases I was amazed how sharp dark scene photos look, especially in average street lighting and skylines. 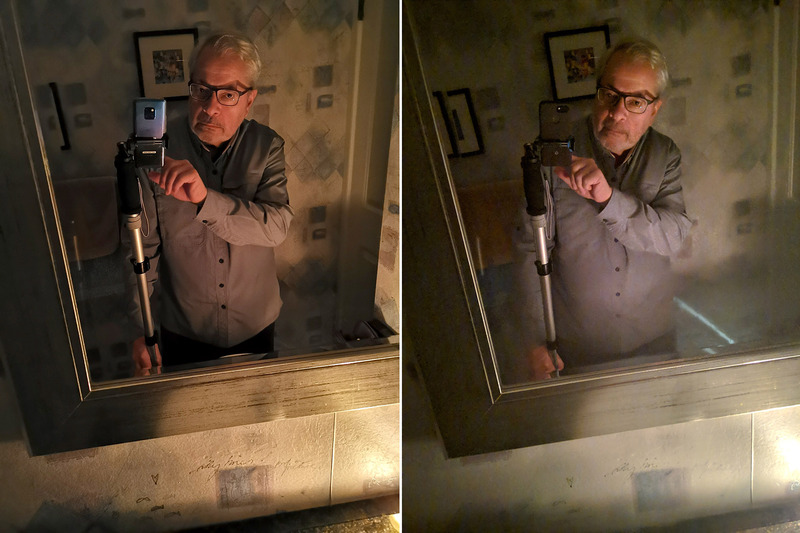 But when I subjected both phones with my toughest challenge, a single candle light, only one in ten or so photos were acceptably sharp in both cameras due to the longest exposures, especially faces, thus the camera pod support in my candle light tests. 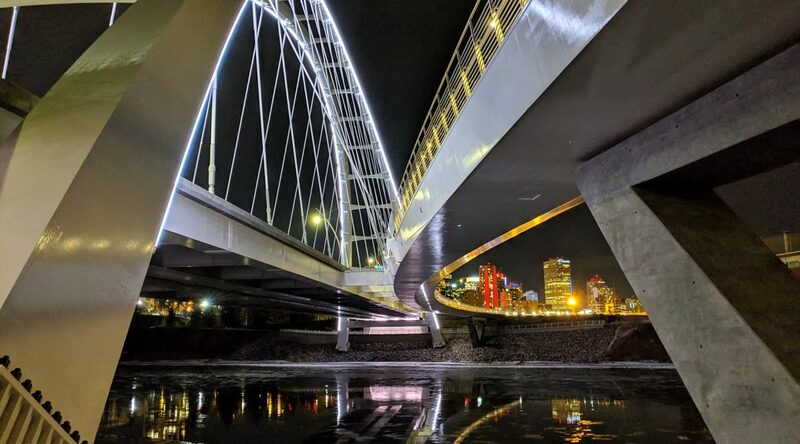 The Huawei Mate 20 Pro in Night mode, above with more accurate neutral colour balance of grey concrete. The Pixel 3, below was slightly sharper due to the larger to the larger 12megapixel image. 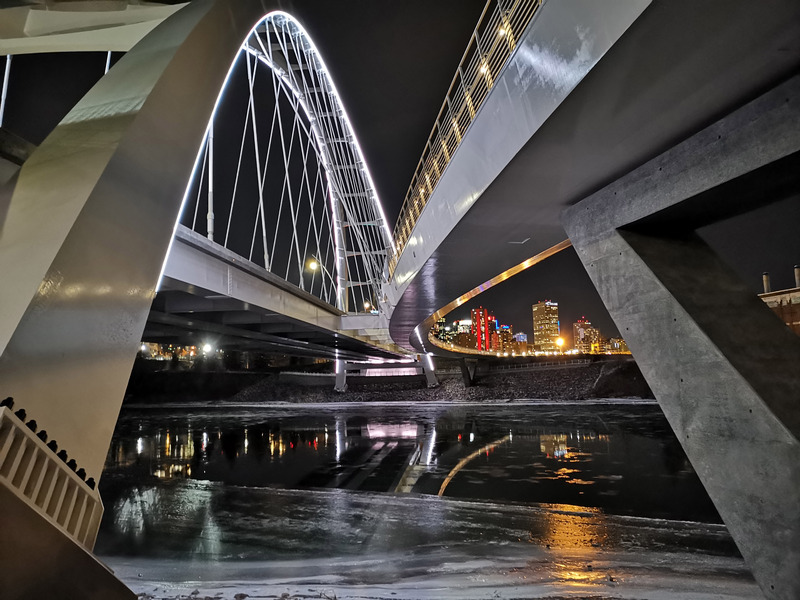 Note how both night photo modes show more detail under the bridge. Apart from nicely exposed photos with rich colors you also notice very little grain or digital noise. Nice. How did the two phones compare? The Mate 20 Pro is disadvantaged from the get-go at its main optical zoom range shoots 10megapixel photos compared to the 12megapixel size of the Pixel 3. This means the loss of picture detail in the Mate 20 Pro is more noticeable sooner as you enlarge it on your screen. Surprisingly, the Mate 20 Pro beat the Pixel 3 in the single candle light test with more detail and colour. 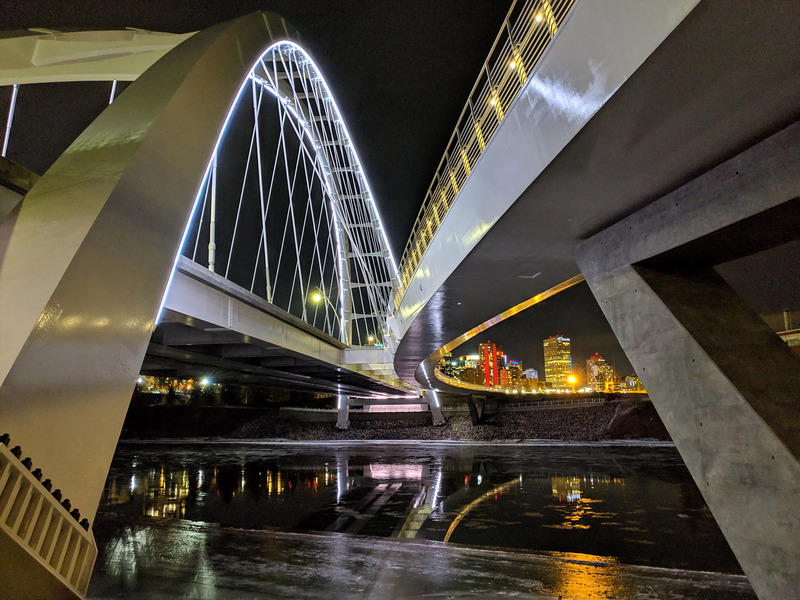 On the night time scenes around Edmonton’s spectacularly curvaceous Walterdale bridge, both phones produced excellent photos with slightly more accurate colour balance from the Mate 20 Pro. Interestingly, the Mate 20 Pro screen changes during Night Mode showing the image and light building up during the exposure. As other reviewers find, its hit and miss with new technology where the slightest change of light and colour can throw off all this artificial intelligence churning in your phone. Phones took turns being best in different scenes. One thing for sure, 24/7 camera phone photography will open our eyes to a dark world we simply ignored.